HomeStrategyPoker GuideWhich Online Poker Sites Have the Best Tournaments? 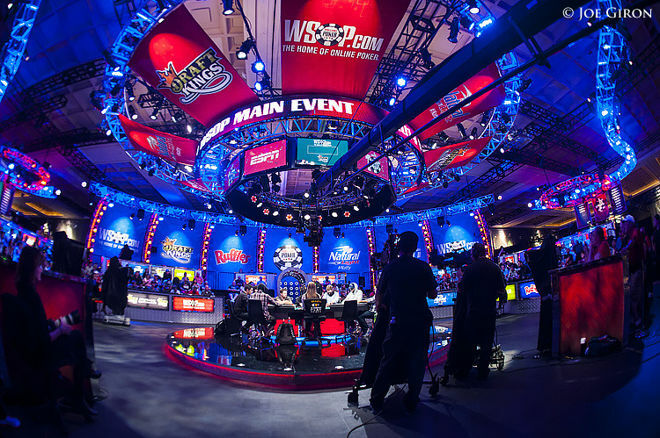 Tournament poker is one of the most exciting forms of the game thanks in part to the fact you can turn a relatively small investment into a much more meaningful sum. Every online poker site offers a range of different tournaments, but determining which sites host the best ones is a difficult task, not least because there are lots of different factors to consider. 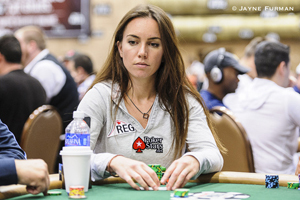 Liv Boeree is a member of the Team PokerStars Pro stable. PokerStars is the world’s largest online poker site with millions of registered users; as a result, they boast a diverse and extensive range of tournaments that run 24-hours per day, 7 days a week. Featuring almost every poker variant you can imagine, PokerStars players have the chance to win huge sums of money from just a tiny outlay. Its low stakes tournaments attract several thousand players every week and it’s common place for a player in a $3.30 rebuy tournament to win in excess of $4,000! PokerStars is the home to the Spring Championship Of Online Poker (SCOOP), Turbo Championship Of Online Poker (TCOOP), the Micro Millions and the renowned World Championship Of Online Poker (WCOOP), plus you can qualify for major live tournaments such as the UKIPT and market-leader European Poker Tour (EPT). PokerStars PokerStars is the largest and busiest online poker room in the world. Check out our weekly round-up of the biggest online poker tournament action, the Sunday Briefing. Another of the major players on the online poker circuit are PartyPoker who were established following the merger of Bwin and PartyGaming in March 2011. The site predominantly focuses on trying to attract players to their range of NL Homdelm, Omaha and Stud tournaments that offer buy-ins between $3-$22. Satellites to the bigger buy-in tournaments are also very popular and the bigger tourneys include the Sunday 200k gtd event and the Monthly Million tournament that gives smaller bankrolled players a shot at the big money. 888poker The world's second largest online poker site and one that is dedicated to recreational players. 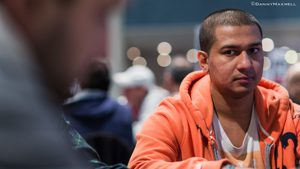 British pro Zimnan Ziyard is a regular in the biggest online poker tournaments. Other major online poker sites that host a multitude of superb cash tournaments include 888poker, Titan Poker, William Hill Poker andPKR. You can check out our comprehensive review page to discover more details that will help you determine the best site for you. Also be sure to take a look at a site’s tournament lobby section to find out what’s on offer and remember you can help yourself to large sign-up bonuses at any site with PokerNews.com!